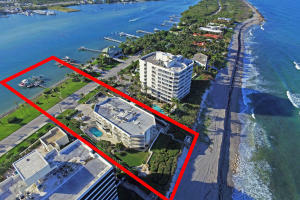 Beach Sound is a beautiful small low rise building on the intracoastal on Jupiter Island. Beach Sound offers only four floors and 12 units. Beach Sound was built in 1984. This beautiful low density building offers an enclosed parking garage, heated pool, and common dock.